Encryption and the "Assistance and Access Bill" - Why the Unseemly Rush? Dr Paul Brooks This MEMBERS ONLY event incorporates a sandwich lunch, the TelSoc's Annual General Meeting and a lecture by Dr Paul Brooks - Consulting CTO and Chair of Internet Australia. The AGM will commence promptly at 11:30am and needs 10% of current financial members (click-here to join now) in attendance for a meeting quorum. If you can't attend please nominate your proxy (eg. a fellow member or the president / chair of the meeting). Also, if you wish to nominate to become a TelSoc board member use the board nomination form. The list of 2018 Board nominations is on the TelSoc website. Australia is on the cusp of deciding whether to introduce legislation to facilitate law enforcement access to the contents of Australians’ encrypted messages, data and devices, by requiring that companies offering encryption services provide exceptional access, or through some other means. Justified by the use of encrypted messaging by criminals, the Australian government has proposed new laws giving law enforcement agencies unprecedented powers to request or require device manufacturers and suppliers to change how a device operates, and bypass security systems. Encryption technologies enable Internet users to protect the integrity and the confidentiality of their data and communications. From limiting the impact of data breaches, to securing financial transactions, to keeping messages private, encryption is an essential tool for digital security and confidentiality. As a technical foundation for trust on the Internet, encryption promotes commerce, privacy, and user trust, and helps protect data and communications from bad actors. A decade of focus on layers of security, encryption and authentication has resulted in roughly 90% of all non-video traffic across the Internet being encrypted by default. As devices have become more powerful, the community has focused on the security of devices, developing anti-malware systems for smartphones, and sophisticated unlocking systems based on facial recognition and biometrics. The cyber-security community has been warning users for over a decade of the dangers of insecure Internet-enabled "Things" such as baby monitors, security cameras, smart appliances and televisions, which can be compromised and used to spy on the household, be made to malfunction, or formed into powerful botnets and used to attack networks across the globe. Experts have warned about and exploited vulnerabilities in connected cars. With just a few short weeks to review this complex legislation, we look at how to reconcile the legitimate requirements of law enforcement with the legitimate concerns of the law-abiding community around weakened security, unintended consequences, and the deliberate creation of vulnerabilities in our devices - and potentially breaking the Internet. 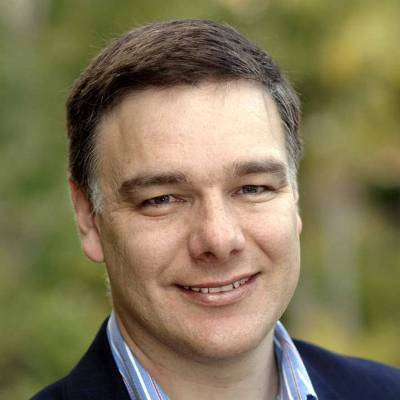 Dr Paul Brooks is the Chairman of Internet Australia, the local chapter of the global Internet Society, an active participant within the Australian ISP community, and a network designer and engineer for more than 20 years. Sometimes described as a "Serial CTO", Paul’s expertise in local and international scale network design, planning and operation is derived from extensive hands-on experience in broadband access and large-scale data networking. His practical and pragmatic knowledge of communications protocols, leading equipment suppliers, carriers & service providers and the Australian regulatory environment has been forged through consulting projects and executive positions in carriers large and small. Combining deep industry expertise with plain speaking, Paul bridges across technical, regulatory and policy fields, and helps educate all sides to understand the position of others. Career highlights include CTO roles at TransACT Communications in Canberra and a number of other carriers and start-ups including as Head of APAC Engineering for Global One, and GM Networks & Technology for Trident Subsea Cable.